Laurel Braitman PhD is a New York Times bestselling author, historian and anthropologist of science. She is the first Writer-in-Residence and the Director of Writing and Storytelling at the Medicine & the Muse Program at the Stanford University School of Medicine where she is helping medical students and physicians communicate more meaningfully--for themselves and their patients. She holds a PhD in Science, Technology and Society from MIT and is a Senior TED Fellow. Her last book, Animal Madness (Simon & Schuster 2015) was a NYT bestseller and has been translated into seven languages. Her next book (forthcoming, Simon & Schuster) is about growing up, mortality and how we might live with the perspective of a terminal disease without the dire prognosis. Her work has been featured on the BBC, NPR, Good Morning America and Al Jazeera. Her writing has appeared in The Guardian, National Geographic, The Wall Street Journal, Wired and other publications. She is a Contributing Writer and frequently performs live for Pop Up Magazine, a live magazine the New York Times has called a “Sensation.” She has taught interdisciplinary courses at Harvard, MIT, Stanford School of Medicine and Smith College. She loves collaborating with musicians, physicians, scientists engineers and artists-- helping them learn to communicate better with the audiences that matter most. Laurel splits her time between the remote Alaskan wilderness and Berkeley, California with her partner and a few million wild salmon. When she was a kid, sometimes her parents let her bring the the family’s baby donkeys into the house. Donkeys were also the theme of her bat mitzvah in 1991. This did not make her as popular as she hoped. Interested in hearing Laurel’s reading, listening and event recommendations, tips on storytelling, and general thoughts on how to be a good human? Hope so. She will never share your email. And she will almost never write you. Thank you for signing up. I promise to make this as painless as possible. Had to come to Canada to get my hands on extra copies of @brainpicker and Claudia Bedrick’s #VelocityofBeing (since it sells out so damn fast everywhere else). Beyond honored to be in such good company. There is nothing better than books. Forever and always. Give this to every young, old and middle-aged reader in your life. A long time ago I made rule that I wouldn’t wear anything with animals on it. Seemed just too on the nose. 🦜🐎🐈🐕. But last night I was getting ready to go out (thank you @courtwrites) and realized that somehow all the leopards snuck in when I wasn’t looking (or rather when I was at the thrift store and also browsing on @therealreal which btw is not sponsoring this post but I love). Maybe it’s time to finally embrace my wacky inner bohemian Aunt who wears sweaters with parrots on them. Who maybe isn’t actually inner at all. Anyway, all this is to say I now own 6.5 inch heels that I accidentally bought for my upcoming @TED talk without realizing they were that tall. I can wear them for exactly 3.75 hours before I want to die. So please invite me places where I can put them on and also bring this bag with hot sauce in it. Some Saturday night family time Midnight-In-Parising, whiskey, and crab diavolo in North Beach. We should all time travel more often. 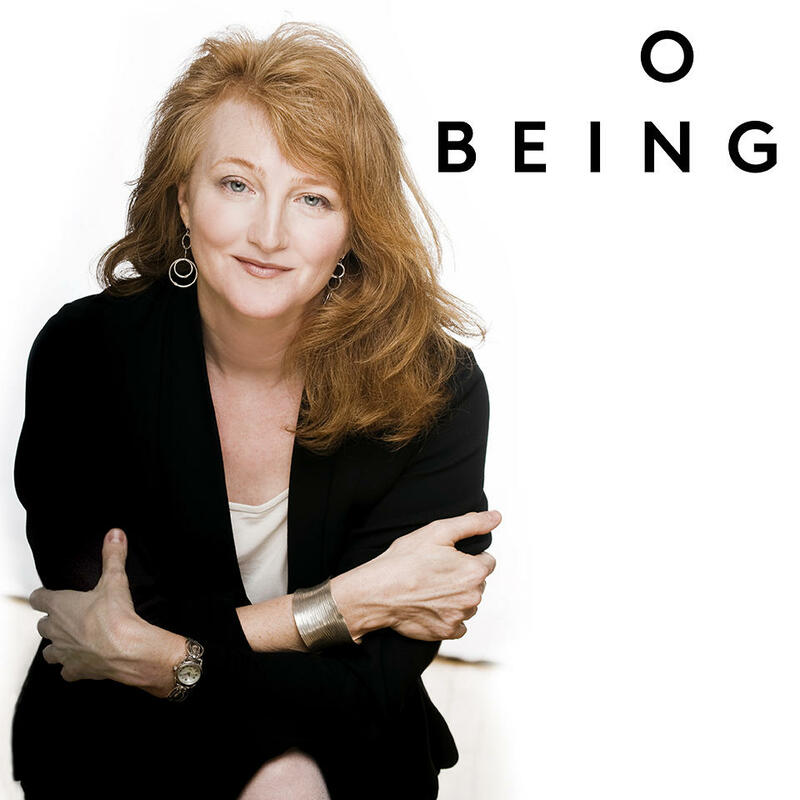 Bay Area folks—I’m talking to the amazing Krista Tippett of @onbeing this Friday, live onstage, part of @ciispubprograms ❤️ Come on out and say hi and submit some questions! Tix link in profile. Bye Dutch! I miss you already...and I’m only at the airport. (Which may mean I’m not even leaving. 🌧🌪🌬. Thank god though that I’m not the only one in here that smells like thawed herring). Thank you too to @alaskaair for my sweatpants and free toothbrush in lieu of luggage. And @norwegianratbar for 🍕 and letting us film. And all the fishermen, clinic staff, police, @kucb.unalaska, birders, good folks of the town and other animals in this magic magic place for sharing fish and stories and more with us. You’re amazing. Laurel loves speaking to audiences large and small about medicine, loss, bettering our mental health, and the themes of science and technology. She's given talks and lectures on boats, on land, in art and science museums, while leading walks in the woods, in hotel banquet rooms, at historic theaters, onstage at symphony halls, in Sigmund Freud's old living room, on a pile of hay bales, on a floating platform in the Amazon and once, in the middle of a flea market in Brooklyn while people shopped for handmade candles and eleven dollar bags of granola. Recent lectures and keynote talks include TED, Penn State University, MIT, and the Advertising Women of NY, among others. She is represented by the Lavin Agency. To book laurel contact Charles Yao: cyao@thelavinagency.com. Laurel writes about medicine, science, eagles, mental illness, art, dying well, coming of age in the Amazon, and many other things. She also performs live for Pop Up Magazine where her stories have been about online dating, endangered species, realizing your parents are people, heroin, psychotherapy and parrots who witness crimes. She's author of the New York Times Bestseller Animal Madness: Inside Their Minds (out in paperback from Simon & Schuster). Inspired by her dog Oliver’s debilitating separation anxiety and aggression, Braitman embarked on a journey around the world to study emotionally disturbed animals and the people who care for them. Her research led her to a remarkable discovery—understanding the emotions of distressed animals can help us better understand our own. This “lovely, big-hearted book” (The New York Times) was listed as one of Discover Magazine’s top five summer reads, a top science read by Wired, and one of Amazon’s best books of the year. Her story was also featured on Good Morning America, ABC World News Tonight, and other television and radio series around the world. Buy a signed copy here or an unsigned copy anywhere else. Curious about the book? Read the reviews in the New York Times, The New Yorker or listen to her talk about it on NPR or TED Radio Hour. Laurel performs regularly, interviews other folks live onstage, and also does some other stuff. Laurel will be speaking at TED 2019 in Vancouver, Canada April 15-19. 2019. On November 18. 2018 Laurel will be interviewing author and radical thinker Michael Hebb about his new book “Talking About Death Over Dinner” at the California Institute for Integral Studies. 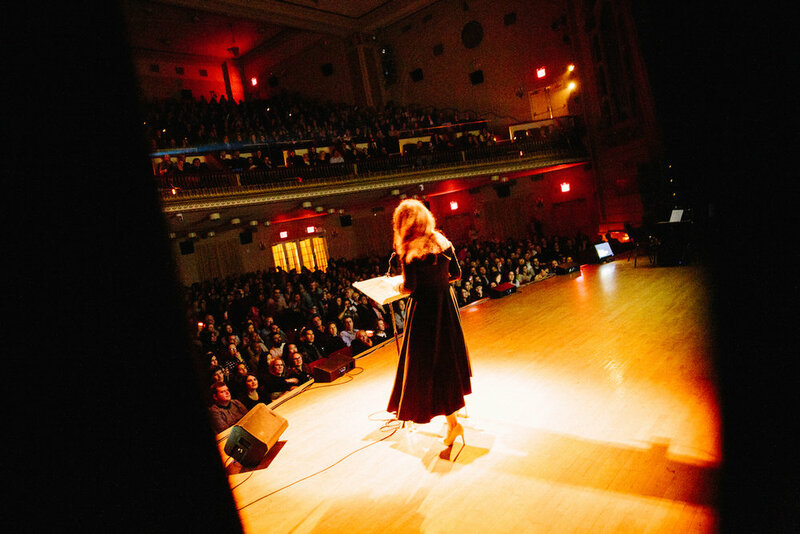 “On Being Wise,” March 1, 2019 Laurel will have a conversation with Krista Tippett live onstage at the Nourse Theater in San Francisco about her books, podcast and her more than 10 years of conversations with many of the worlds’ most interesting people. Laurel will be on tour for the Winter Issue of Pop Up Magazine in Los Angeles, Oakland, New York City and Washington DC doing a story called “Lonely Island” with the amazing Magik Magik Orchestra. You should really come out and say hi. As the Writer-in-Residence at the Stanford University School of Medicine, Laurel leads afternoon, daylong and multi-day workshops for medical students, residents, fellows and attending physicians. She also teaches courses, has co-founded a live onstage storytelling series for medical students called Talk Rx, and works with students, researchers and physicians one-on-one and in small groups to develop their written and oral communication skills. For an example of her work helping physicians communicate more easily you can check out this workshop or Weds Night Writes, a drop-in workshop for the Stanford Medicine community. In addition to teaching and writing, Laurel works with a select few of the world’s most talented journalists, artists, physicians, scientists, and engineers to help them create powerful narratives that inspire not only the largest audiences but the ones that matter most. She has led strategic research, storytelling and communications workshops and worked with individuals at TED, Google, Harvard University and elsewhere. To bring her and her team to your organization, please contact laurel@laurelbraitman.com. Sign up for Laurel’s VERY infrequent newsletter. She promises to make it worthwhile. She’ll never share your email.